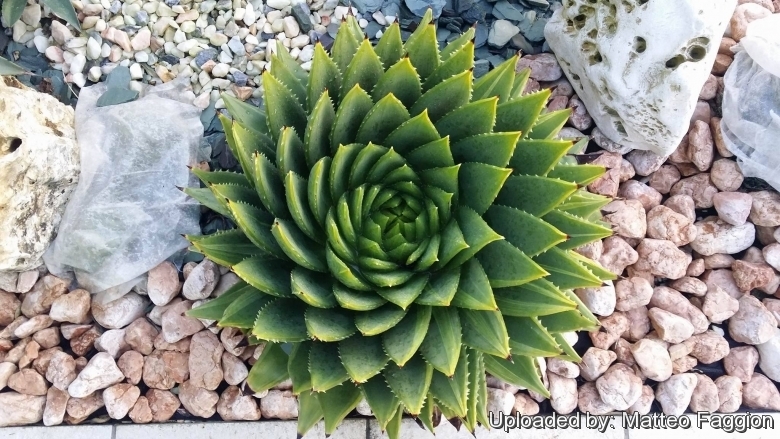 It is arguably the most beautiful aloe, because it has wedge-shaped leaves that form a distinctive clockwise or counterclockwise whorl (collectors covet one of each). Origin and Habitat: Aloe polyphylla is endemic of the Maluti Mountains of Lesotho, but also reported from the Lesotho border with the Free State and (possibly) from KwaZulu-Natal Drakensberg. Habitat: They live in high altitude grassland just below the snow line, mainly on very steep slopes facing North or North-west but plants growing at higher altitudes are found only on the East facing slopes where they can receive the morning sun. They grow in damp places on rich but very draining peaty, rather clayey, black soil mainly among crushed basalt rocks or in crevices. In summer the plants receive continual flow of water and the rainfall is very high and the climate cool. The average annual rainfall is around 1100 mm mainly from spring to autumn. 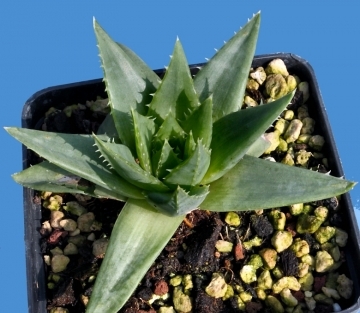 It is also the only aloe that thrives in temperatures well below freezing and in winter the plants are often under snow. In their habitat they are used to go down to -10° to -20° C overnight which usually warms to 10 to15 C during the day, and summer temps varies from 15° to 22° C so it's a very cool climate. They occur usually in dense groups of twelve to twenty-four, individual plant as they do not form off-shoots. Derivation of specific name: The name "polyphylla" comes from Greek words "poly" meaning many and "phylla" meaning leaves. Rosette: Unbranched, with 80-150 leaves in a large and low whorl about 30-60 cm wide. The foliage is arranged in five spiral ranks each of them containing between 15 and 30 leaves. Stem: Acaulescent or very shortly caulescent, hardly 10 cm high. Leaves: Ascending, fleshy, juicy, oblanceolate to broadly triangular, quite sharp glaucous-green to grey-green relatively short, but becoming 20-30 cm long; tips usually dark, purplish brown and ending in 10 mm long, fine bristle. Convex on both sides, thicker above, keeled toward the tips on the back. Margins and keel finely toothed. Inflorescence: Branched with each flower head being quite compact. Blooming season: plant starts flowering only after several yeas mainly in spring and early summer. Remarks: The spiralisation tends to disappears when the plant is shaded. 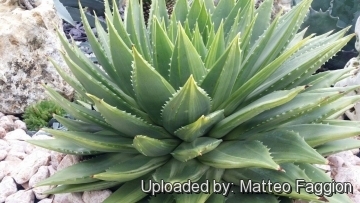 2) San Marcos Growers contributors Aloe polyphylla - Spiral Aloe San Marcos Growers <http://www.smgrowers.com/products/plants/plantdisplay.asp?strSearchText=Aloe&plant_id=3058&page=4>. Web. 10 June 2016. 3) Wikipedia contributors. 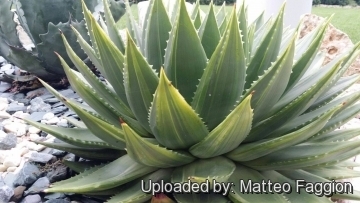 "Aloe polyphylla." Wikipedia, The Free Encyclopedia. Wikipedia, The Free Encyclopedia, 15 Apr. 2016. Web. 12 Jun. 2016. 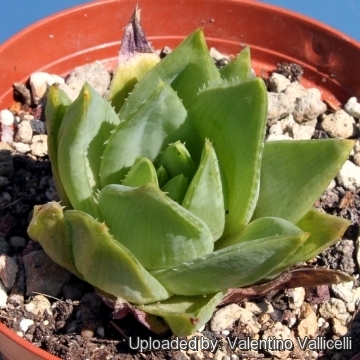 5) Susan Carter, John J. Lavranos, Leonard E. Newton, Colin C. Walker “Aloes. The definitive guide.” Kew Publishing, Royal Botanic Gardens, Kew 2011. 6) South African Gardening. Volime 24, p. 267, 1934. 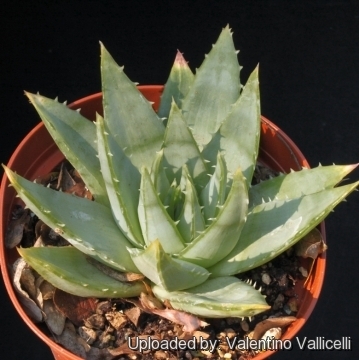 Cultivation and Propagation: The species is one of the most ornamental aloes, but extremely difficult to grow in cultivation, nevertheless if given proper growing conditions it is a fast-growing species that can reach full size in 5 or 6 years. If plants don’t receive proper growing conditions will die despite all efforts. The leaves hold a considerable amount of water, so they are quite plump. At about 2 years old, the leaves begin to spiral either to the right or to the left, when viewed from above. It does best in mild temperatures, with growth slowing or stopping when temps get above 28-30° C. It might not thrive in hot areas, especially if nights are also warm and also excessive exposure to wind will dry them out. Mature plants are said to handle snow, although younger plants should be protected from hard freezes and overly wet conditions. The plant grows well in a pot, and can be moved indoors for the winter. Outside, if the climate is cool it enjoys full sun. In warmer country, keep it cool by filtering the afternoon sun, and also avoid using a dark-coloured container. Since the plant comes from high-rainfall areas, it appreciates consistent moisture during the summer months. It does best in very well-aerated and perfectly draining soil that is free of lime (pH 5-5-6). A good mix is 1 part potting soil to 1 part pumice rock or lava rock, with 25% horticultural sand added. A 2 year old plant will have 35-45 leaves and at about 5 years of age will have approximately 150 leaves. Pests and diseases: They are extremely prone to rot, easily the base of rosettes becomes brown and shrink, and leaves further up the stalk wilt and die. Leaves near base are affected first. The roots will turn black and rot or break. If in a pot try not to over water plants, tilt the pot so water never sits in the rosette. Water sitting in the rosette is the greatest cause of rotting these plants. When growing this aloes from seed there is one important consideration to bear in mind, the young plants are fairly slow growing and a systemic fungicide should be added to the watering as the they are very vulnerable. Remarks: The spiralisation tends to disappears when the plant is shaded and also use very few fertilizer because if they grow too fast they won't spiral. Propagation: To grow the seeds keep them wet at all times do not let them dry out, 10-18 days and you will have success. Keep the soil wet for young ones until they are able to transplant into a larger container.